Before the election I voted against triggering Article 50 on leaving the EU. During the recent election campaign I made an explicit commitment to the voters in Brentford and Isleworth that I would do all in my power to secure a Brexit settlement that secured jobs, rights and environmental protections. I received strong support for my position from my constituents, particularly young people voting for the first time and many others who voted Labour for the first time. It was a key reason my vote, the Labour vote, increased by over 10,000. 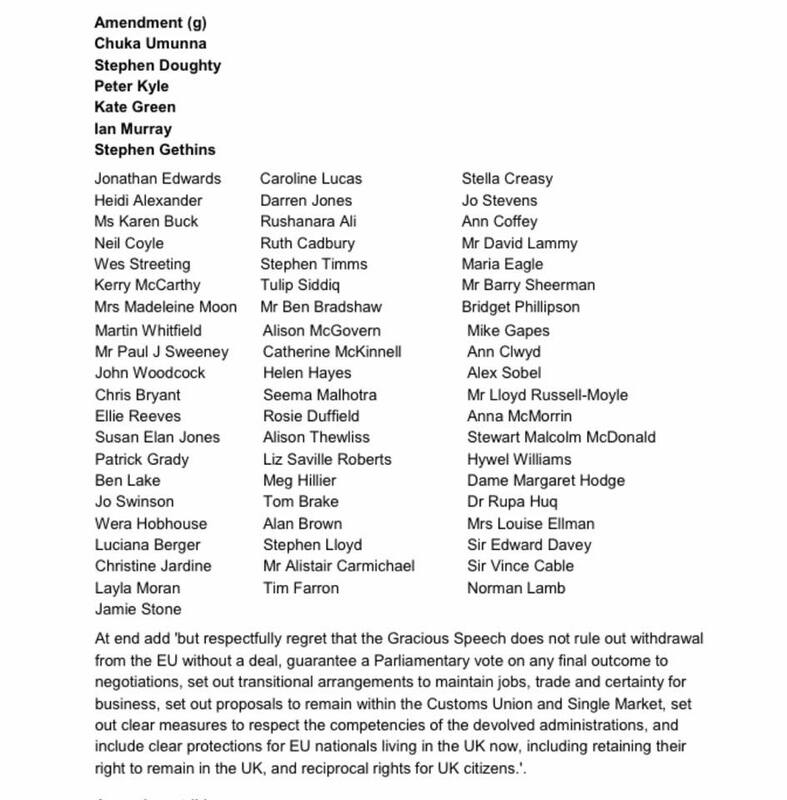 Therefore I had no doubt that I had to support the amendment moved by Labour colleagues with cross-party support today. The amendment ruled out withdrawing from the EU without a deal, sought a Parliamentary vote on the final negotiations and proposed to remaining in the Customs Union and Single Market. Only then can we protect jobs, trade and certainty for business, as well as protecting the rights of EU citizens, with reciprocal rights for UK citizens. This is a point of principle for me and I felt bound to honour the commitment I had made to voters. I was aware that, as I was breaking the Whip, I could not retain my front-bench role. I have hugely valued working as part as Jeremy Corbyn’s front bench team under Shadow Housing Secretary, John Healey. Since the vote I have been touched by the overwhelming support I have had from Labour Party members and my constituents.